What does it mean when a baker says they have to 'retard the dough'? Put simply, 'retarding' is the process of slowing down the final rising in the bread making process. It has its benefits, including adding flavor and allowing you to bake the bread at a later time. Retarding is a second, slower rising for leavened bread dough recipes (those that rise and use yeast or sourdough starter). It is done by placing the dough in the refrigerator which causes a slower fermentation (or rise) of the dough. Retarding is also commonly called 'proofing', particularly among professional bakers. Then again, proofing can be used to refer to either the first or final rising of the bread dough. Retarding bread dough is often done overnight when the dough is placed in the refrigerator so it can be freshly baked in the morning. It is also done to increase the flavor of the bread and to give the crust a darker color when baked. Retarding is done to shaped bread dough. This means that every other step in the bread making process is done and all that is left is the final rise and baking. Cover the bread dough with a clean towel and place it in the refrigerator. Some bakers like to wrap the dough in a towel and place this in a bowl or on a cookie sheet. Others simply lay a towel over the pan, which is perfect for loaf bread. You can also retard the first rising and shape the loaves at another time. This is good to know if your baking session is unexpectedly interrupted or you have to break your baking up into smaller pieces of time. 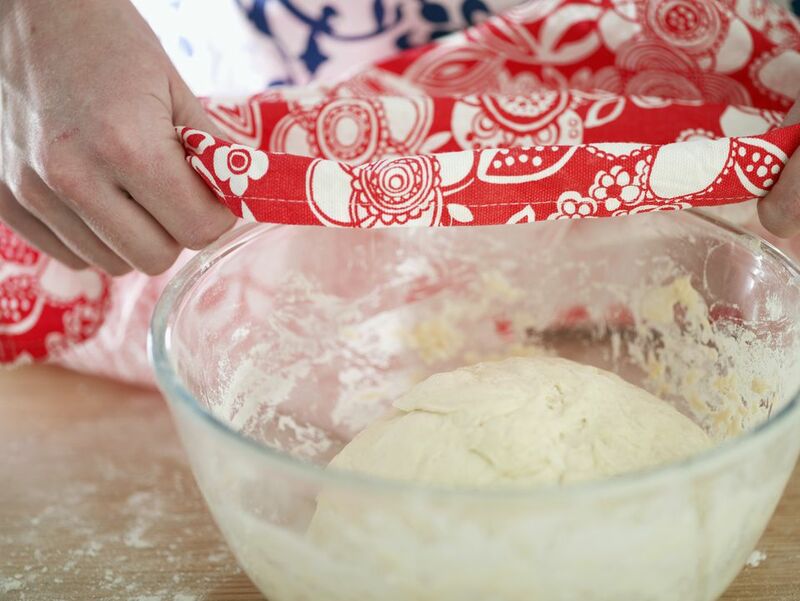 Simply place the bowl with your covered dough in the refrigerator until you can return to it. Allow it to warm up and finish rising (if it hasn't already) before punching or folding it. As mentioned, retarding has two primary benefits: the flexibility to bake later and the extra flavor. Each of these can play important roles in your bread baking experience. The ability to delay the actual baking time can be very convenient. The full process of making bread can eat away at your day: you have to mix the dough, wait for the first rise (or bulk fermentation), shape the dough, wait for it to rise again, then actually bake it. A single loaf can take up to 6 hours and this prevents many people from enjoying homemade bread. Yet, if you can break that down into two or three days, the task seems more manageable. Some bread recipes can even be retarded for a few days, which means you can prepare it on the weekend and have fresh-baked bread mid-week. The flavor of many breads improves if we can slow down the fermentation and some styles of bread actually require it. Yeast wants to act fast and can cause bread dough to rise within an hour if left in warm temperatures. This is great if you want a quick bread, but you will often get a deeper flavor if you slow the yeast down. The science behind this richer flavor involves the bacteria that are also present in bread dough. As it rests, the bacteria create more acetic and lactic acids which add to the bread's flavor. However, if left too long, the bacteria will begin to break down the gluten and prevent a good rise. In general, many breads can be retarded for 12 to 18 hours without adverse effects, though this will depend on the recipe. Many recipes will tell you to retard the dough 'overnight' though that time is subjective based on when you prepared the dough on the first day. Many whole grain and rye breads will not retard well because they are more sensitive to the acids produced and have weaker gluten. Before baking your refrigerated bread, allow it to warm to room temperature. Removing it from the fridge then waiting for your oven to preheat is often enough time. You will notice that salt is included in almost every bread recipe. It is a key ingredient for many reasons, one of which is that it acts as a natural retarder. Salt controls the fermentation time because it attracts moisture released by the yeast through osmosis. This, in turn, causes the yeast to slow down. It is very important that you measure salt according to the recipe. Professional bakers prefer to keep salt in the 1.8 to 2 percent range when developing recipes. Too much salt will reduce the volume of your bread (sometimes significantly). Too little salt will result in quicker proofing, which can affect the bread's flavor (remember that bacteria needs time to work as well).